This will create a new, car-free urban quarter of Aarhus. The railway site extending from Bruuns Bro to Frederiks Bro will be covered. 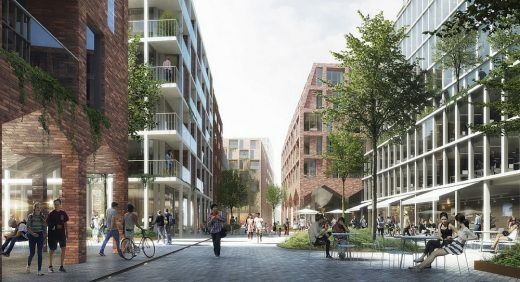 The area will house 110,000 m² of new construction, to establish a central new urban quarter in Aarhus C, resembling the tenement block structure of nearby Frederiksbjerg, and giving a special opportunity to interconnect the heart of the city in an exciting new way. 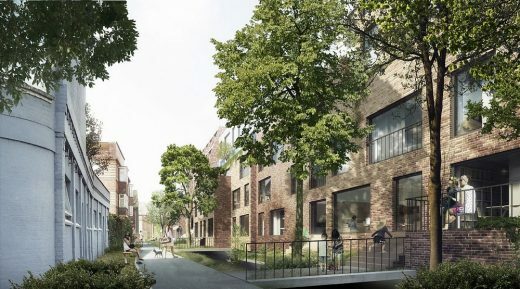 “This is a historic opportunity to realise the vision of even greater interconnection of the centre of Aarhus by launching a unique urban quarter to complete the ongoing urban development of Aarhus,” says Michael Kruse, partner and architect at C.F. Møller Architects, about the project. “With the Railway Quarter, we wish to create visionary urban regeneration, to achieve a sustainable, green, vibrant and car-free quarter with a bustling shopping environment and a residential area full of diversity. We will create unique, attractive urban spaces of international calibre,” says Michael Kruse. Covering the railway site in Aarhus has been discussed right back to before the area took its present form in 1924. Now, the opportunity to achieve this vision is closer than ever before, because Banedanmark is electrifying large sections of the Danish railway network – including the area at Aarhus Central Station. 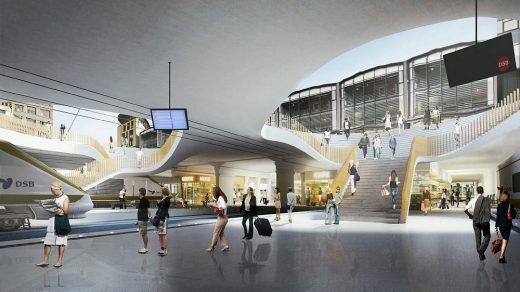 Electrification entails, among other things, that the tracks at Aarhus Central Station will be lowered, giving a unique opportunity to use this project to also cover the railway site and avoid significant additional costs. Currently, the railway site sharply divides several central areas of Aarhus. 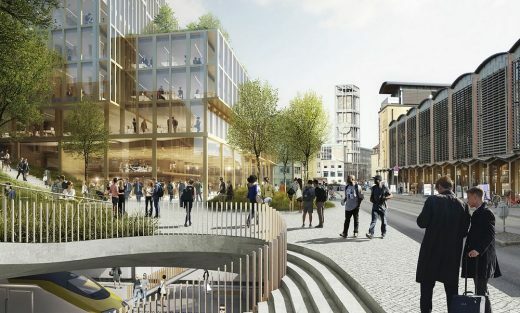 The Railway Quarter will add a new dimension to the city, with great potential for the city centre, where new synergies and urban connections can be established. The new structures will predominantly be blocks of flats, up to six storeys high, which will be integrated with the existing local environment. At three or four places, the buildings will be higher at certain points. Towards both Bruuns Bro and Frederiks Bro urban transitions will be established, to include shops and green recreational areas. As part of the sustainable strategy for the Railway Quarter, bicycle parking and taxi flow will be integrated in the overall plan for the project. Together with the Railway Quarter’s urban connections, the peripheral zones will be cultivated and upgraded in order to create attractive urban spaces that are connected with, and establish, a transition to the rest of Aarhus’ city centre, towards Bruuns Bro, Frederiks Bro, Hallssti, Kriegersvej and Orla Lehmanns Alle. 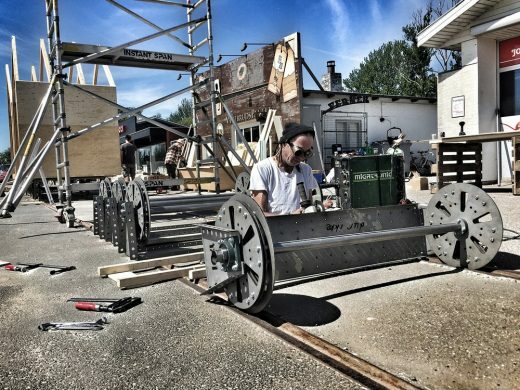 “Covering the railway site will significantly upgrade Hallssti and Kriegersvej from connecting ‘backyard’ routes to an active and vibrant area with town houses and urban life,” says Michael Kruse. The project includes the establishment of a parking deck on columns, above the railway site. On top of this parking deck a new urban quarter can be established in the heart of Aarhus. DSB Ejendomme is behind the Railway Quarter. DSB Ejendomme has signed an agreement with MT Højgaard for the realisation of the project. In cooperation with C.F. Moller Architects, MT Højgaard has created a proposal for the covered development of the railway site that is both technically and financially viable. The development of the Railway Quarter is still on the drawing board. 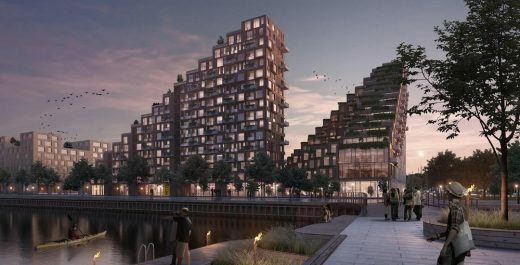 The City of Aarhus, which owns some of the potential building rights under the project, will now consider the proposal from DSB, MT Højgaard and C.F. 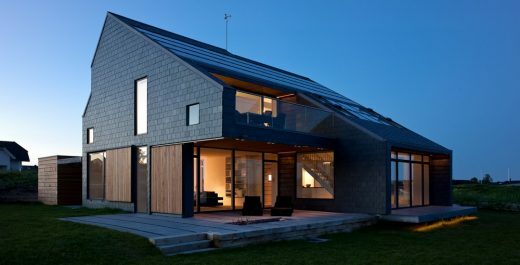 Møller Architects.